Mad Max: Fury Road has been named the best Australian movie of the century. Recently, the Australian website Flicks.com surveyed a total of 51 critics from the country. 26 of whom were men and 25 women, making for a pretty even split and diverse group. It was the largest poll of Australian movie critics in history and, when all of the votes were tallied, director George Miller's dystopian masterpiece came out on top. The Top five is rounded out by 2010's Animal Kingdom, 2009's Samson and Delilah, 2000's Chopper and 2001's Lantana. Sitting just outside the top five is the modern horror classic The Babadook, which was released in 2014 and gained notoriety for its originality and overall quality. Director Jennifer Kent has been in the running for several high-profile jobs, such as Captain Marvel. The 2001 musical Moulin Rouge, which was a major box office success and stars Nicole Kidman and Ewan McGregor, just missed out on making the top ten, coming in at number eleven overall. As for Mad Max: Fury Road, this is far from the first major accolade George Miller's 2015 entry in his classic sci-fi franchise has received. Upon its release, it was met with near universal praise and topped many critics' lists as the best movie released that year. The movie went on to score 10 Academy Award nominations, including Best Picture, ultimately winning six. 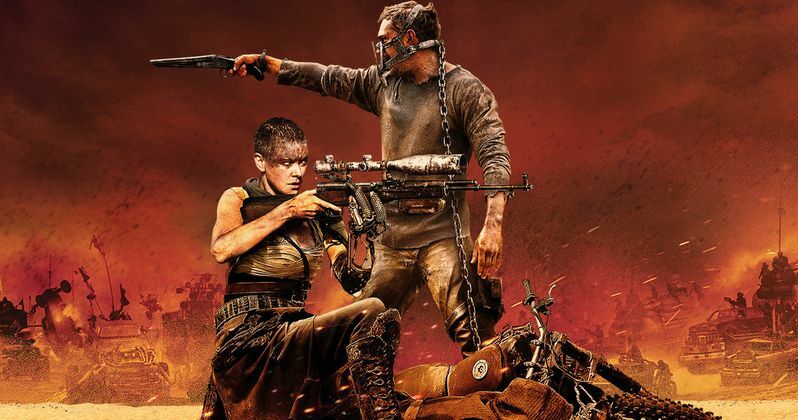 As far as box office goes, the fourth entry in the Mad Max franchise earned $379 million worldwide, which is quite good, but the movie's very large budget got in the way of its profitability a bit. In the year since its release, there has been talk of a sequel or two, with Tom Hardy and Charlize Theron both set to return. Both stars have expressed their desire to come back for another movie, but it's director George Miller and his ongoing lawsuit against Warner Bros. over money that he believes he's owed that has gotten in the way of the sequel actually getting off the ground. Some other notable movies that made the list include 2015's The Dressmaker, which also topped several critics' lists that year. The most recent movie on the list is 2016's Lion, which starred Dev Patel and earned six Oscar nominations. Toward the bottom of the list, the animated movie May and Max came in at number 22, followed by Mel Gibson's WWII drama Hacksaw Ridge at 23. The 2005 horror flick Wolf Creek slipped in at number 24, with the criminally underseen 2014 sci-fi movie Predestination squeaking in at the number 25 spot. You can check out the full list of 25, courtesy of Flicks.com, for yourself below.